In the world of AI, one of the main goals is to make machines that can-do tasks that require human intelligence. We accomplish this through a neural network, which is a network modeled after the human brain, to simulate the learning process of the brain. 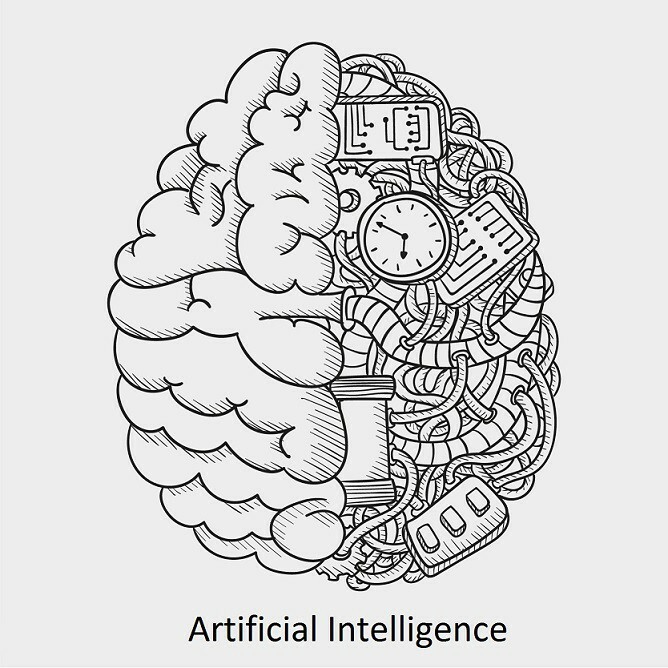 The neural network is designed in a way to find underlying patterns in data and learn from them by taking in data and converting it into a numerical form. 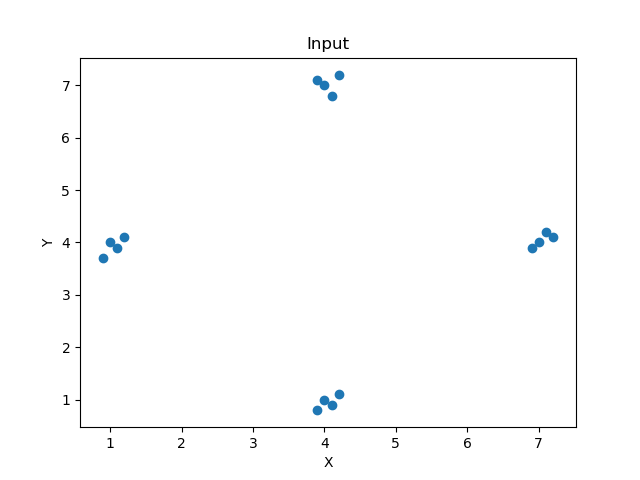 In this post we’re going to have a look at Artificial Neural Networks (ANN), based on examples and text from the book “Artificial Intelligence with Python”, by Prateek Joshi and inspiration from here. This post is meant as a very light introductory to the topic, where we investigate the larger aspects of an ANN. A more advanced post will follow later, so in the meantime, enjoy! An ANN is made up of artificial neurons, as we can see in the image below, where the goal is to solve problems in the same way as the human brain does. 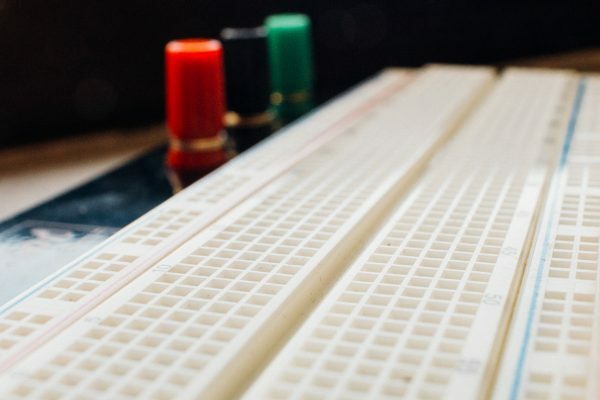 The neurons are stacked in layers, either as input layers, one or many layers of hidden layers and as outputs. Each circle represents a neuron and each arrow represents an input or output of that neuron. The input neurons provide information from to the network. No computation is done, they just transfer the information to the hidden neurons. The hidden nodes perform computations and transfer information from the input nodes to either a new hidden layer or to the output layer. It’s also possible to have no hidden layers at all, which is called a single level perceptron, an example we’ll show shortly. The output layers are responsible for computations and transferring the information from the network to the outside world (Source). A neural network is not a new concept, rather it dates back to the 1940’s and 50’s, when the first neural networks were created. It would take many decades before neural networks would take off, because running complex models require quite high computational power and you need quite a large dataset (Source). 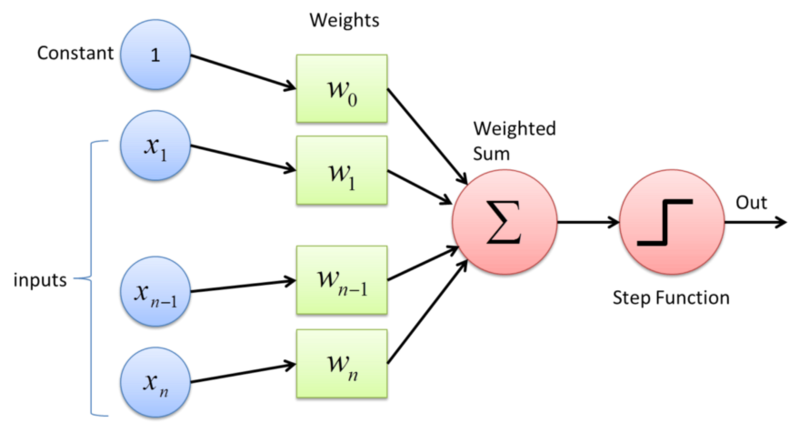 Today, a neural network can be very useful for supervised and unsupervised learning – read our previous post on the subject. As a fun fact, the images below show the similarities between the human brain and a Neural Network. The image to the left shows how two neuron cells in the human brain are connected using an axon, which sends an electric signal for any movement of our muscles. This is the same basis as in the neuron structure which are interconnected and mimics the human brain. A perceptron is the building block of a ANN. It takes in input, performs some form of computation on them and at last produces an output (Source). As we see in the image above, all the inputs, xn, are multiplied with their weights (and biases), w. Weights shows the strength of a particular neuron. Then, all the multiplied values are added together to something called a weighted sum, and the weighted sum is applied to a correct type of function (check out this source for more advanced understanding) and then you have your output. Now let’s actually make one. We start by importing the right libraries and create a simple data set. Then, we separate the data into features and target labels, as we described in our last post. #We split them into features and labels. We convert the data into a column vector before we proceed; it’s kind of like a pre-processing. Then we define the maximum and minimum value for each axis. The output data will be just a single neuron, with the value 0 or 1. 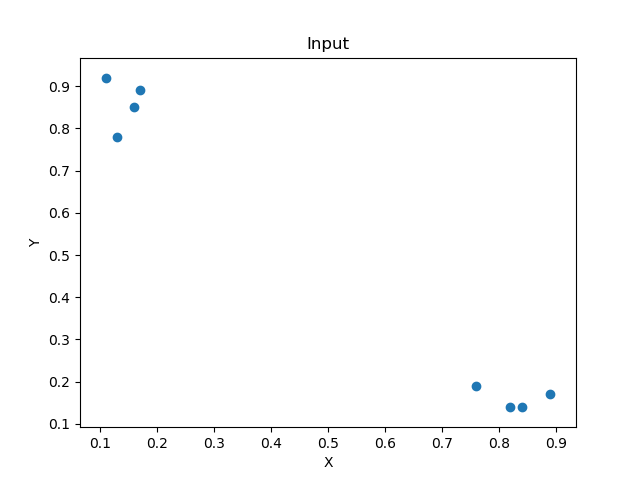 The then define the perceptron with two input neurons. 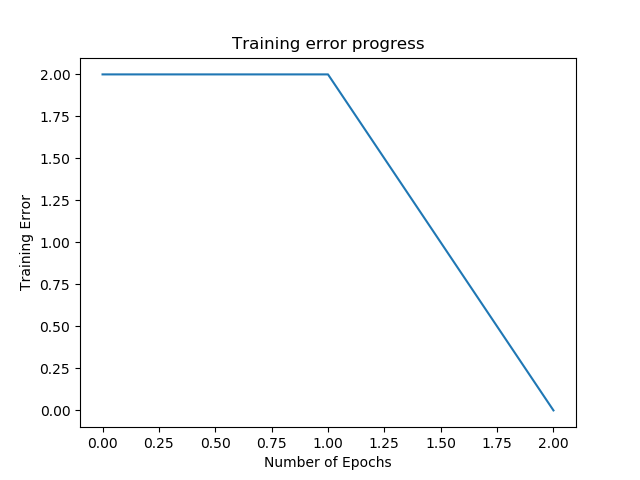 we then train the perceptron with the training data. As we remember, building a perceptron is just the start. 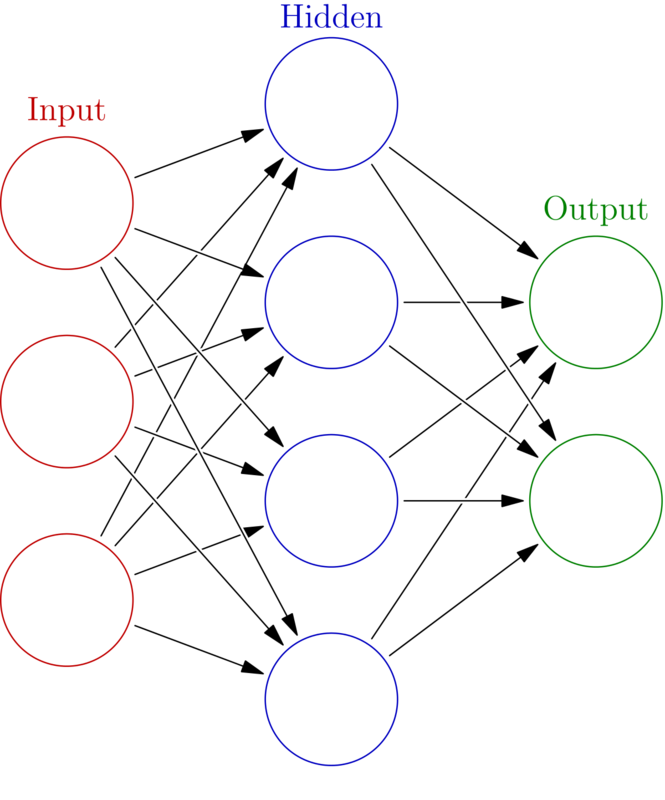 The next step is to conceptualize a neural network as being a set of neurons (or perceptrons) that act as one unit. For this example, you can download the dataset here – taken from the book from Prateek Joshi. We start by loading the data from the link above. Each line in the data consists of four numbers where the first two form the datapoint and the last two are the labels. we then split the data into features and labels, all the rows and columns from 0 to 2.
and labels are going to be all the rows and columns from 2 and up. Then we define (again) the maximum and minimum value for each axis, and the number of output neurons. We define our single neural network using the parameters above. 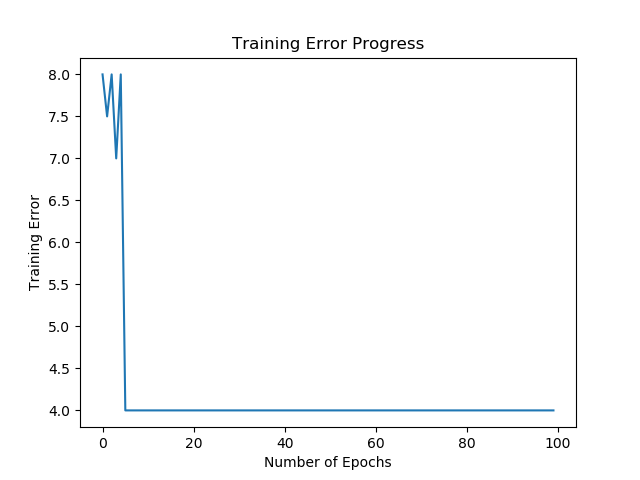 Epochs is the number of iterations related with each input samples in the dataset (Source). A learning rate is a hyper-parameter that controls how much we are adjusting the weights of our network with respect to the loss gradient (Source). A too low learning rate never progresses, while a too high causes instability and never converges. 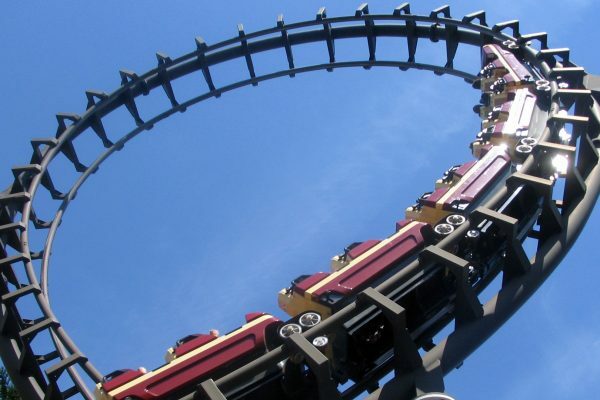 To learn more about how to pick one that’s “just right”, read this article. Here we visualize that the training is done in just a few epochs. Then we go on to test the ANN on the data that it has not seen, so that we can see how well it actually predicts on this new data. 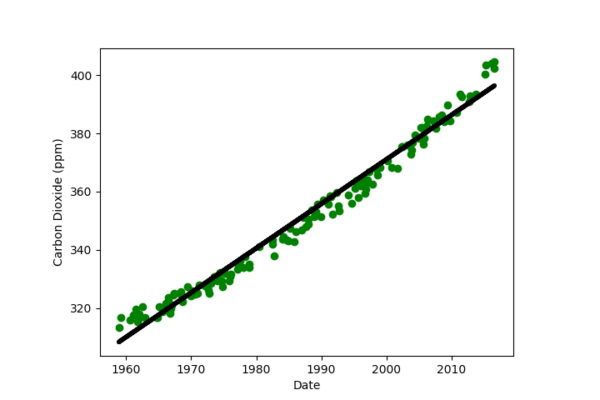 If you go back and look at the graph, you’ll see that the predicted outputs of ANN are correct. So there you have it. A quick and simple introduction to a neural network! Tune in for our next post in our AI series where we develop a more complex multi-layer neural network – that’s where the fun really begins!